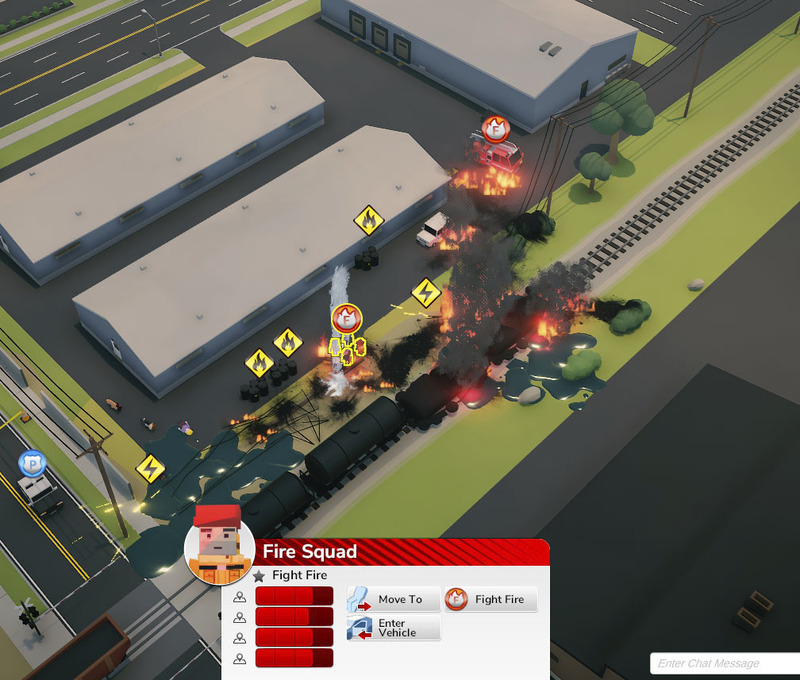 Description: Incident Commander 2 is intended to serve as a game-based exercise tool for crisis responders who are familiar with the Incident Command System but want to make the tactical command decisions (operations). Skills and Ideas Taught: Through use of ICS actions representing strategic decisions the player(s) make during the game the players become familiar with and proficient with following the ICS model and protocols. These actions control all gameplay including making both abstract decisions such as standing up units of the ICS structure, and concrete actions such as placing a staging area. Just as in the real world, ICS actions are hierarchical following the ICS structure. For example, the “stand-up PIO” action must be performed in order to use the “Place Joint Information Center” action. This direct mapping to the real world hierarchies of command instills and understanding of the hierarchical nature of incident command and response. Goal or Challenge: Incident Commander is focused on tactical gameplay. Each player chooses one or more Tactical roles that designate which responder service units they can control on the tactical map. Strategy and coordination are needed to succeed in multiplayer. However, our goal is to allow players to use the Incident Command System (ICS) and demonstrate its efficacy. The ICS roles are notional instead of restrictive. The role of Incident Commander (IC) and the subordinate roles under the IC are assigned and tracked for players but do not limit what strategic action players can take. Rather players are given the agency to use ICS as an easy method to delegate authority and facilitate communication. The ICS is also used as a visual framework to structure any strategic choices the players must make to reinforce how ICS should be used. Assessment Approach: Players are measured against ideal performance for each scenario across a number of dimensions. These are all tracked by the game and scores are presented.